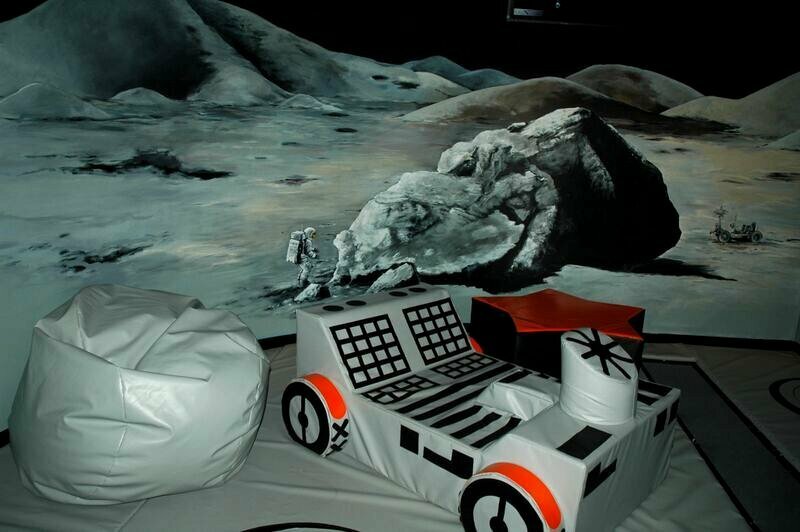 Benee’s Inc Moon Car is the perfect addition to your space exhibit. The foam interior is wrapped in vinyl which provides a safe environment that is durable and easy to clean. We can make these custom to your needs. Call us today to design yours.